If you are a fashion designer, online portfolio can be a great place to showcase and display your work. Digital portfolios are becoming increasingly popular and are easy to share with a larger audience on the Internet. Whether you are fresh out of fashion school or you have experience in the industry, it`s essential that you make a professional portfolio that demonstrates your talent and skills. 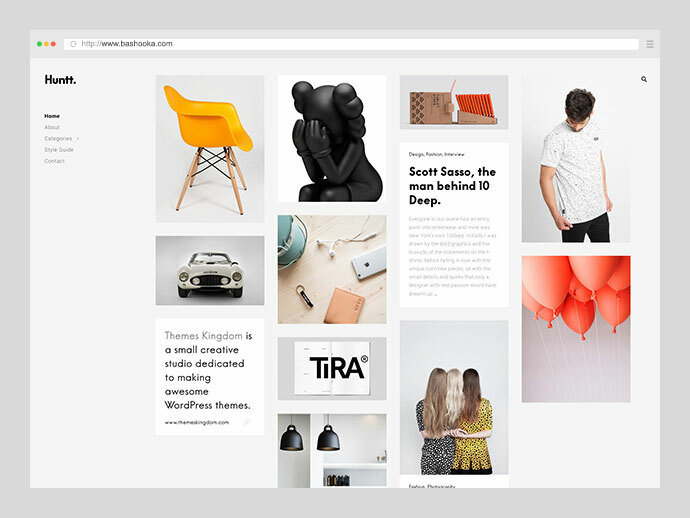 If you are using WordPress to create your portfolio site, one of the easiest ways to ensure this base is covered is to select the right theme. 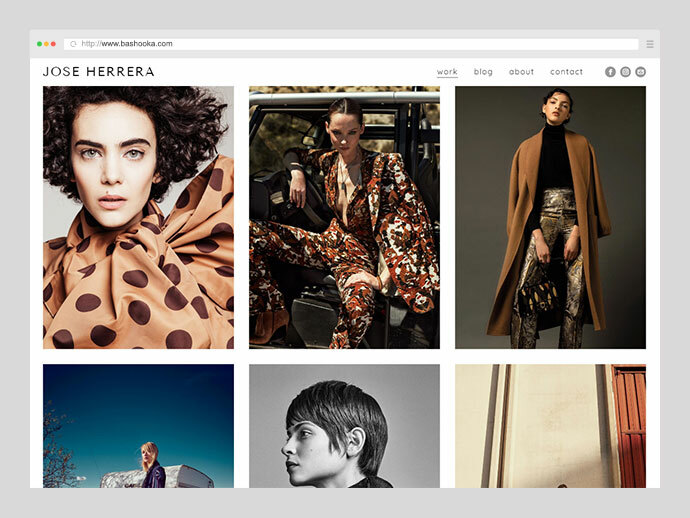 So here are 20 Fashion Designer Portfolio WordPress Themes designed specifically for portfolios that enable you to draw visitor focus towards what matters most. 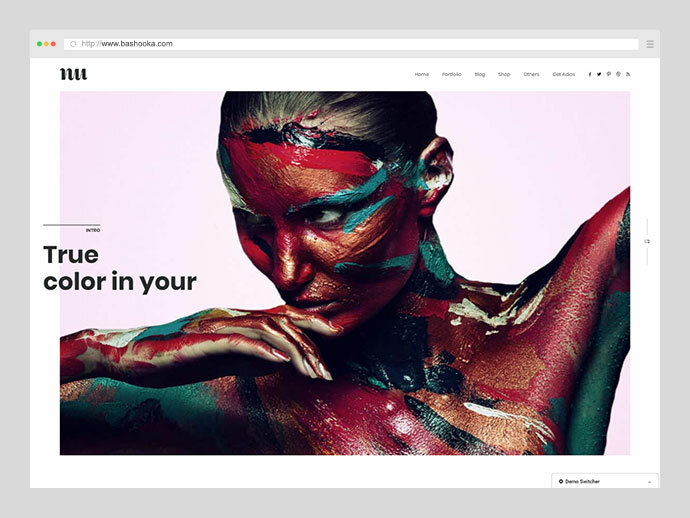 It is a premium portfolio WordPress theme with an innovative, touch navigation super smooth hardware accelerated slider designed for photographers, illustrators, graphic designers, art and creative directors, architects, luxury businesses or bloggers. It’s equally adept at showcasing design or photography projects. 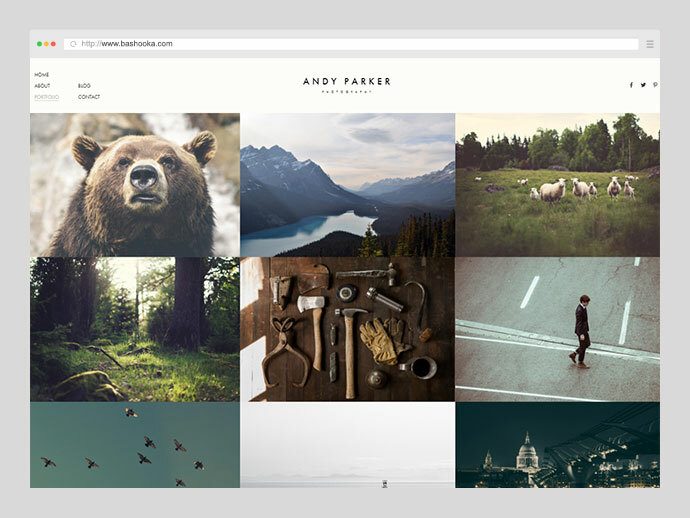 Its page templates accommodates multiple galleries, each with as many images as you want. It is a unique and amazing portfolio website for fashion designers, with an elegant and immediate solution for the design of portfolio site. Created with the goal of not only a good-looking website but to also have the much needed latest functionality to make your portfolio stand out. It also enables you to build a solid online presence for yourself, while showcasing examples of your skills and past accomplishments in a way that’s visually appealing and easy to browse. It is a black and white dedicated WordPress theme. You can create a creative and unique, simple and bright site for any purpose with ease. It comes with 36+ stunning Pre-defined Homepages, it is ideal for a range of business and art-driven site. 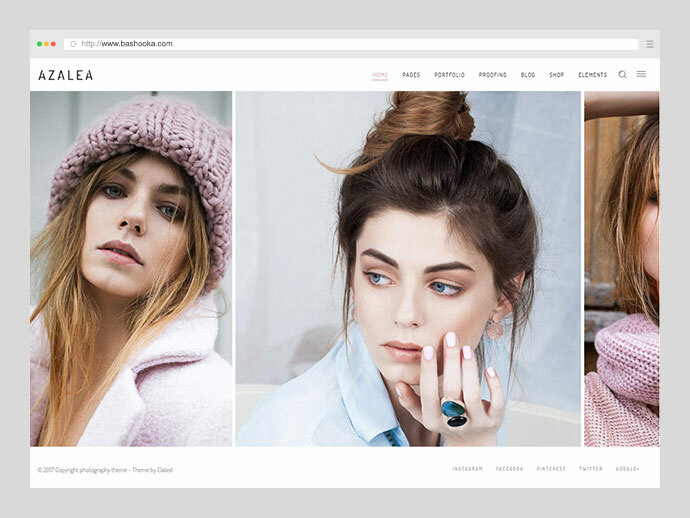 Showcase your amazing fashion photography work using Azalea theme and its twelve absolutely beautiful & completely customizable homepages; they’re just what every fashion photographer needs. Easily create a fashion portfolio for your fashion photography work today! With Azalea you are sure to achieve this with the utmost ease as it comes with all the features and functionalities a truly modern fashion photography theme needs. 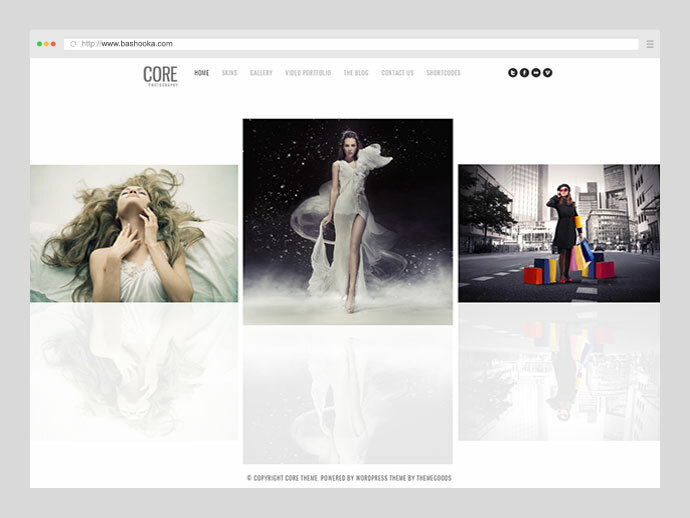 If you’re looking for fashion portfolio theme that mainly focuses on images, and images only, this is perfect for you. It is a beautiful minimalistic WordPress blog magazine theme, made to put visual oriented content in the first place, without any clutter and noise. 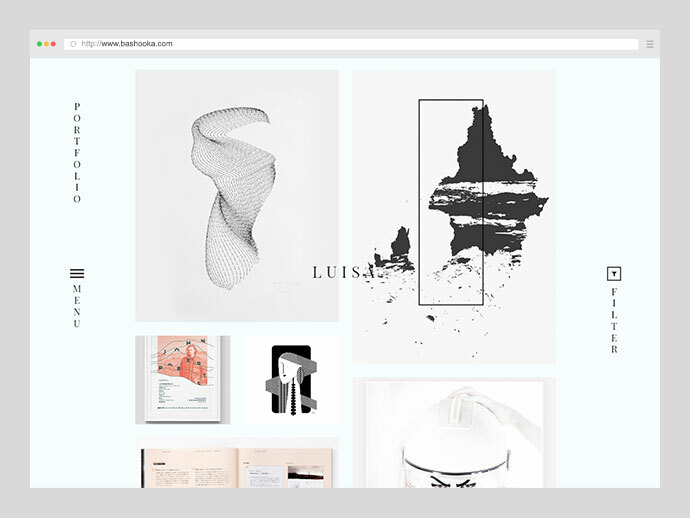 It is ideal for web magazines from which the inspiration came from, with content related to photography, graphic design, fashion, art, architecture, interior design and other creative fields. Theme utilizes a simple and charming background image combined with the most appropriate font choice to frame this masterpiece. Every page is met with a large amount of white space that allows the images to breathe and stand out beautifully on their own. 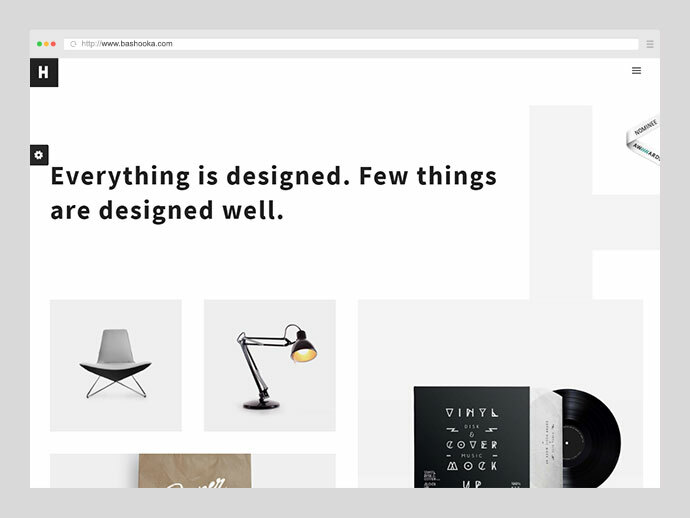 Choose this theme when you’re ready to build your brand, and you’ll have complete creative control over every pixel of a professionally designed website—and, best of all, it doesn’t require any coding knowledge on your part. 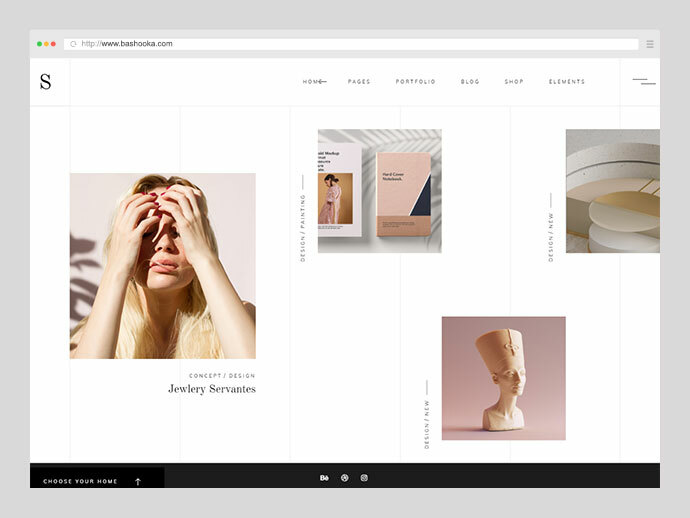 It is an extremely powerful, while elegant solution for you website portfolio, personal website, online shop or any other creative business. Packed Milano with features to make sure you never run out of ways to customize your new minimal style website to your needs. Choose from 10 different complete ready to use demos, all 10 demos are also included with an optional dark monochrome theme style. It combines a minimalist design with a large number of customizable options to help you create an outstanding photography or creative portfolio very efficiently and straightforward. The theme is highly customizable, you will not need to crop, resize or edit your images because Andy Parker brings a very sophisticated system which allows you to display your pictures/images at any aspect ratio, automatically croping and resizing your images according to your needs in order to achieve the best results. Whether you are looking to land a job as a Fashion Designer, Design Assistant or even a Design Intern you will most likely need a portfolio to show off all your great skills. Many designers create collections or mini collections in their portfolio which will showcase a range of their skills. 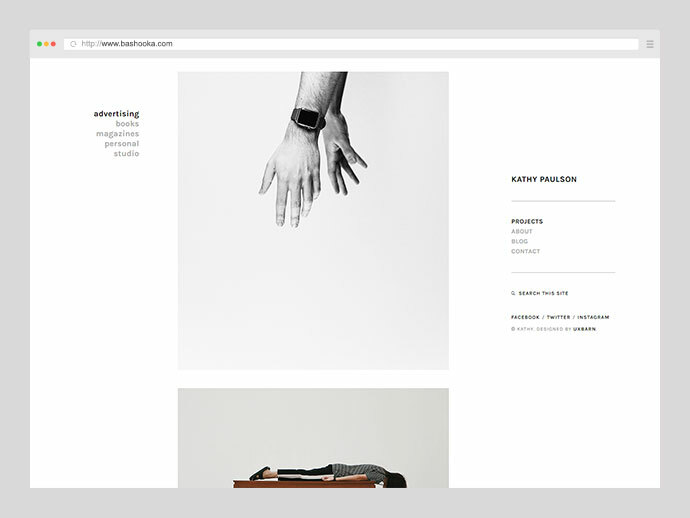 It`a minimal fashion designer WordPress theme for creating a collection shows that you are well versed in garment construction and product development. It is equipped with a captivating set of unique single project & portfolio list templates. You can even show your process and how you arrived at that final collection. Maybe you want to show your initial thumbnail sketches or a glimpse into your sketchbook using this theme. It is well set up for galleries, blogs, e-commerce, gorgeous profiles and more. It is easy to navigate for those focusing on the visuals. It also comes packed with a collection of beautiful, stylish, and modern portfolio layouts for you to choose from and create an awesome presentation for your projects. 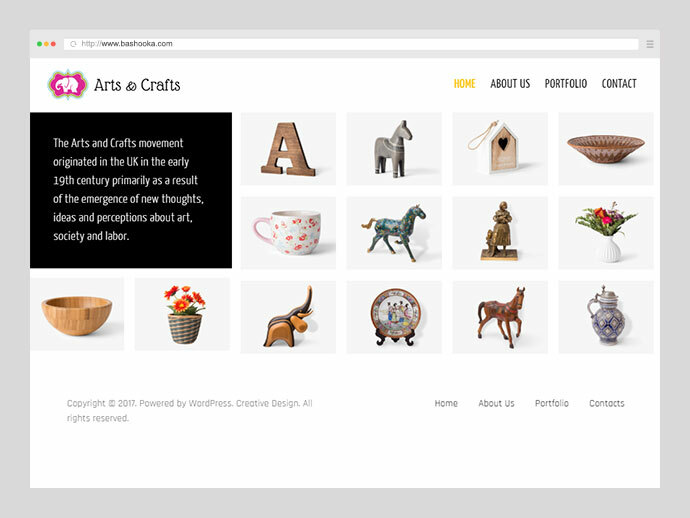 Reviving the traditional handicrafts with improved designs for showcasing your master pieces of creation, Crafts & Arts theme comes with 3 astonishing home page designs namely an artist’s demo, a full-width craft demo, and an elegant crafts demo. The sheer variety of presentation is amazing in Crafts & Arts theme. Apart from the versatile home pages, you have 2 options for About Us page that will further augment your showcasing needs in engrossing ways. This theme is simple and clear, with the bold font to display the text, You can use mouseover feature to highlight the current your most popular fashion cloth. The right navigation bar layout is clear and clean, and you can click on any text link for the information you want to know. It is a professionally developed WordPress theme for photographers. 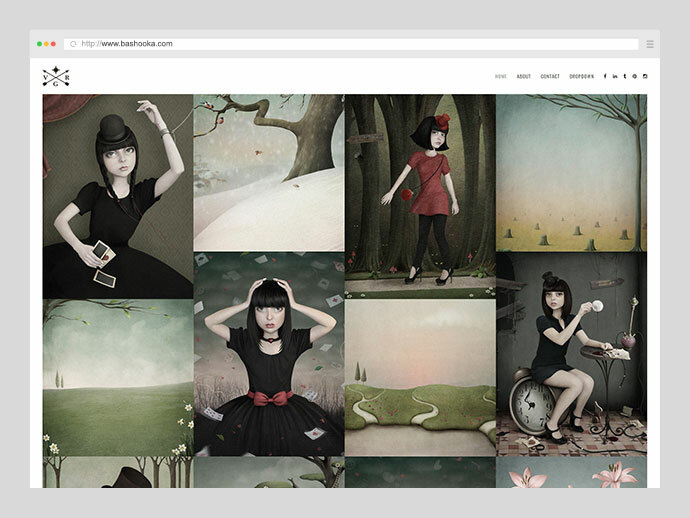 The theme’s main focus is providing you with a great canvas for showcasing your work. 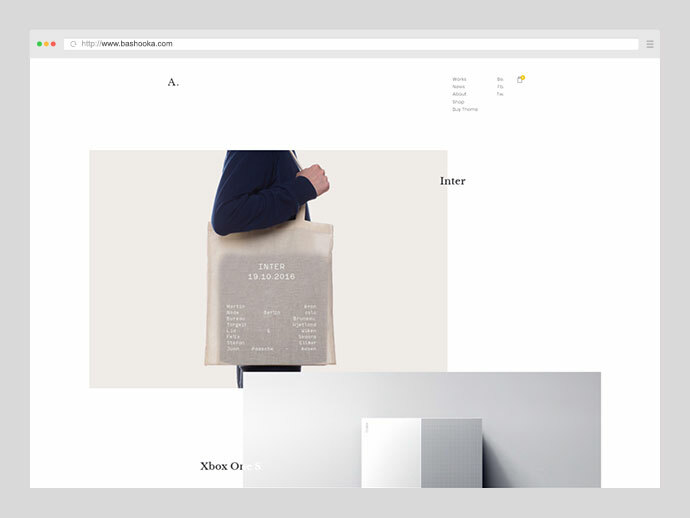 The minimal design, combined with some great jQuery effects and unique layouts are sure to make your site stand out from the crowd and captivate your visitors attention. 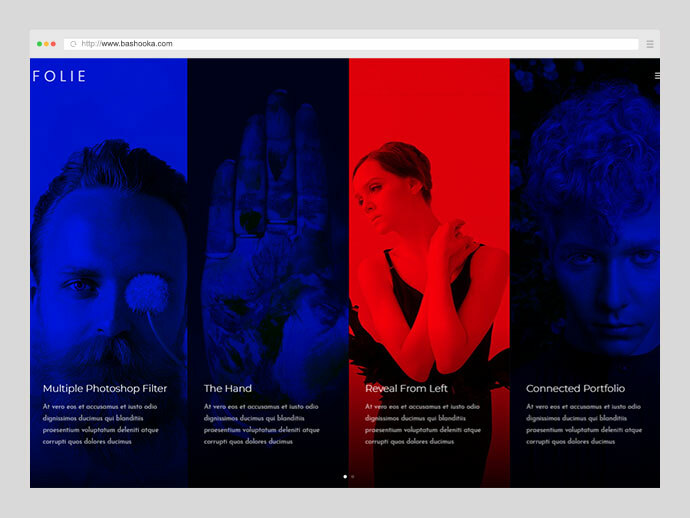 It is a premium WordPress multi-page portfolio for showcase designed for creatives, designers, photographers and other artists. Featuring multiple portfolio options and multiple project templates. 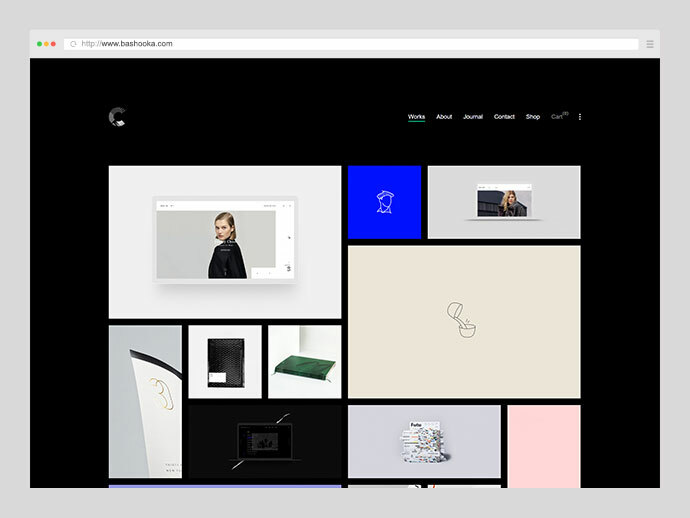 An eye-catching design with a clean and bold interface that lets you present your fashion portfolio in a unique way. It will fully satisfy the needs of any graphic designer, illustrator, photographer, and is sure to create a trendy online presence. 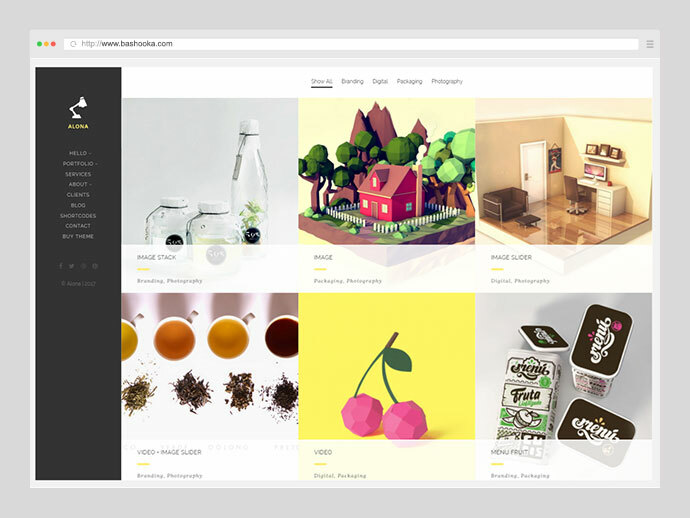 It is a simple yet fresh and easy-to-use theme suitable for any kind of creative work. Website building can be easier with Folie WordPress Theme. New kind of page builder, you will change everything in seconds and you will see it live. The Codeless Page builder it is faster like no other builder on the market. You will change everything on the fly. 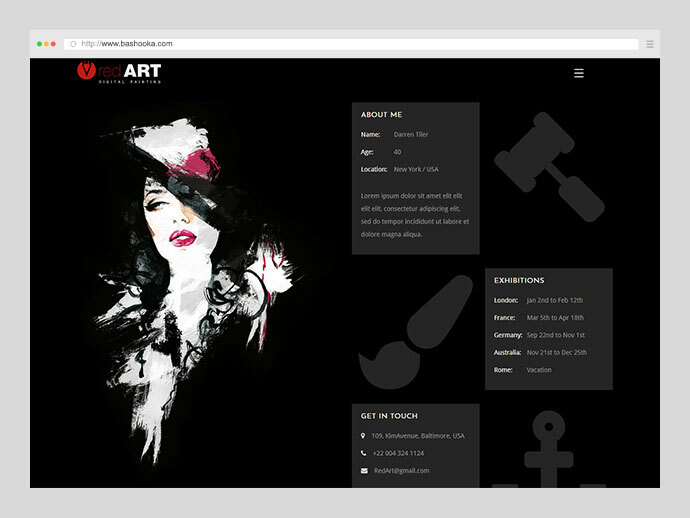 This modern and responsive theme offers a minimalist design suitable for fashion designer. This template is created to ensure that visitors will focus on your photo content rather than the blog design. The fully responsive design and lightweight coding solution make website load fast on mobile devices. It’s easy to use and concentrates on showcasing your work to potential clients and employers with interesting interactions. This theme comes with page builder that allows you to create a beautiful and unique layouts visually, without stirring a single line of code. This builder was shaped by user experience at the forefront of its priorities. There are no limitations to use builder element customization and element arrangements.